Law enforcement professionals prefer Willard Marine’s exceptionally rugged boats that perform reliably whether patrolling at low speeds all day long or rapidly responding to a call. Our latest MISSION PROTM 730 model is designed with input from some of the largest patrol units in the country and includes a weather-tight laptop display, ergonomic console and seat design, plenty of dry storage, and an aft-folding windscreen that’s safe and convenient for one-person crews. Our inflatable collar and reinforced rub-rails reduce risk of boat damage upon boarding and provide stability during personnel and equipment weight shifts. Crash rails for engine protection, tow-posts, gun lockers, communications gear, electronics packages, colored light lenses, and a variety of boat colors and graphics are just the beginning of customizable features that Willard offers. Proudly built to USCG and ABYC specification standards, combined with the stringent quality controls required through our ISO-certification, Willard Marine patrol boats will successfully endure years of heavy usage, saving patrol units significant time and money. Please contact us for more info about Willard Marine Patrol Boats. 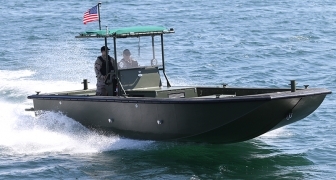 Willard Marine’s SEA FORCE® 490 is a proven, military-grade rigid inflatable boat (RIB) designed with a deep-v hull for maximum stability and non-skid deck for a 6-person crew. Outfitted with an outboard engine, the 490 makes an agile patrol boat, work boat or tender. Its multi-chamber, 40-ounce polyurethane tube is exceptionally strong, puncture resistant, UV-coated and provides buoyancy and reduced vessel weight for maximum performance, fuel economy and safety at sea. Willard's trailerable 30-foot Riverine is designed to perform military search, rescue and recovery operations in shallow, debris-filled waters and flood environments. 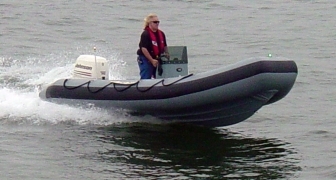 The boat layout enables troubleshooting all major equipment, and the gunwale height above the cockpit is ideal for a safe working area. And the conveniently folding T-top's aluminum surface provides shade, dependable durability and minimal maintenance. Riverines can be equipped for command and control operations, fire-fighting and mounted weapons. 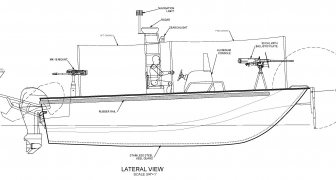 This 27’ patrol and combat boat is designed to navigate shallow inland water territories. It is built with a reinforced unsinkable hull that is built to US Navy standards. All hardware is marine-grade stainless steel and aluminum including; fuel tank, full length keel guards, towing eyes, lifting points, and console hardware. The 27’ Riverine is specifically designed to be a reliable asset that will hold strong for years to come and with a long list of options to make it just right for you.